Volunteering is one of the best ways to discover community and use the gifts God has given you. There are areas in every ministry where you can use your specific skills to help, connect with, and show love to others. Discover where you can make a difference using your unique spiritual gifts, heart, abilities, personality, and experiences. 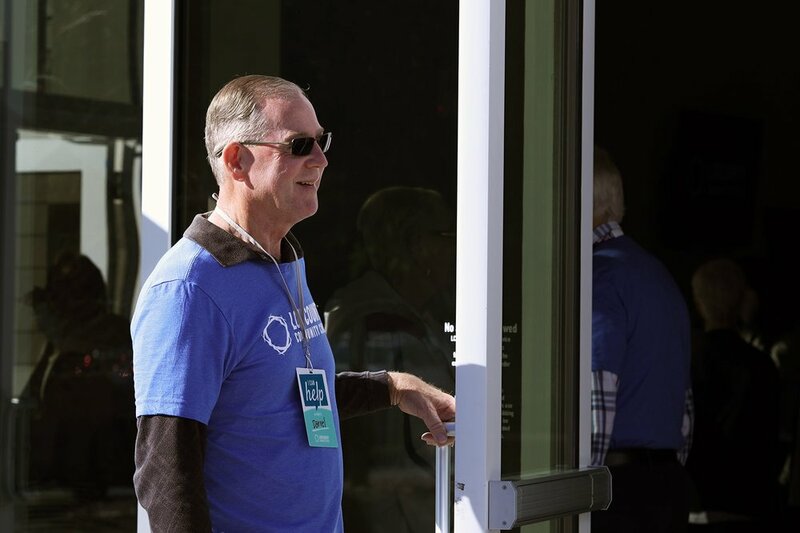 It takes over 100 volunteers each week to make Sunday happen, and there are also many opportunities during the week for you to get plugged in. If you haven't already, start by taking the Connect Class and discover where you can get involved. If you are a people person and like to make others smile, then consider becoming a Guest Services volunteer. This is a great opportunity to meet others and make lifelong friends as you welcome everyone to LCC. As an LCC Kids volunteer, you will make a positive impact on some of God’s smallest children. Not only will you make a difference in a child’s life, but you will also grow spiritually and develop relationships with children, parents, and other volunteers. Invest in the lives of students as an LCC Students volunteer. It’s a great opportunity to mentor, lead, teach, and encourage students in their spiritual walk, plus it’s a whole lot of fun! It’s also a great way to get to know people as you lead side-by-side with other volunteers. Step outside your comfort zone and help teach others how to grow in their faith. From young adults to seniors, you can help connect others and pursue meaning in everyday life by leading a group or a class or helping with events and administrative tasks. Do you want to learn how to make the perfect cup of coffee? As a Café Volunteer, you will learn all the tips and tools of the trade. If you have a love for serving others and making fine coffee and other beverages, then this is the place for you. Has God gifted you with special skills that you don’t get to use every day? The worship, communications, and production teams utilize talented individuals to help make Sunday mornings and events come to life through music, photography, video, social media, and writing. Do you like making projects and events come together? If so, use your organizational skills as an administrative volunteer and assist with tasks that require extra hands. You will also be helping others by answering questions and directing people to the right ministry. If you are looking to serve outside the walls of LCC, this is your chance to make an impact in your community and around the world. Join an outreach project or volunteer on your own and show the community, and the world what it means to be a follower of Jesus.